The Taney County Prosecuting Attorney’s Office is pleased to announce that Sarah of the Bradleyville School District was the grand prize winner of the 1st Annual Red Ribbon Week Poster Contest. Besides winning a Nintendo Wii game bundle, her design will be featured on a T-Shirt that will be handed out to all 5th and 6th graders in Taney County during Red Ribbon week this month. We would also like to thank Senator Jack Goodman, and Representatives Ray Weter and Dennis Wood for their participation in last night’s festivities. We would also like to thank the Senator and the Representatives for their continued support of the Red Ribbon campaign, including Representative Maynard Wallace, who regrettably was unable to attend last night’s festivities due to another commitment. 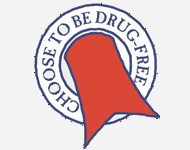 We would also like to thank D.A.R.E officers Steve Huggins, Chris Sims, and Matthew Gregory for their hard work and dedication to this and other drug awareness programs in the schools. Finally, we would like to thank the individual school districts and their staff for their support and hard work in making Red Ribbon Week a reality.